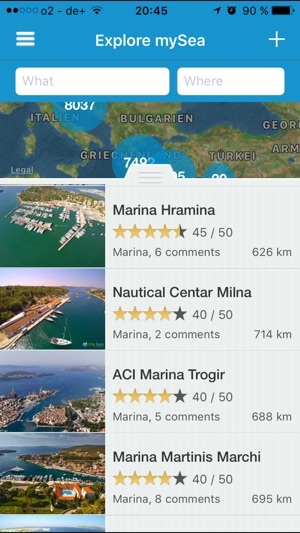 mySea is a an interactive cruising guide for Greece, Croatia and Turkey (Mediterranean coast) as well as an online reservation system for berths. 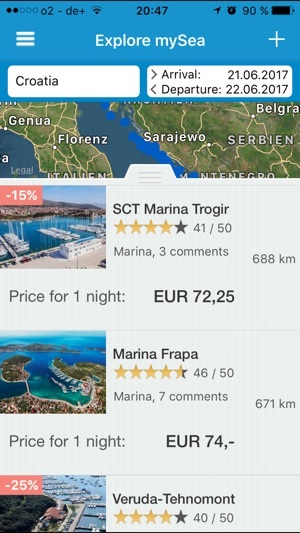 Since July 2018, mySea is selling tickets for the Croatian nature and national parks at a preferential price. This saves the annoying way to the ticket agencies and helps to save money. Boaters can find information on almost all marinas, harbours, anchorages, jetties and buoy fields. 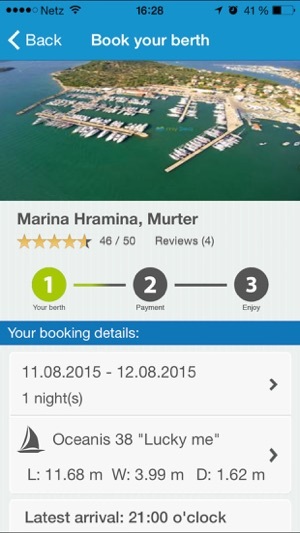 Many of these berths can be booked online through the app just with a few clicks. Once the berth is booked (and paid), you have more time to enjoy the sea. 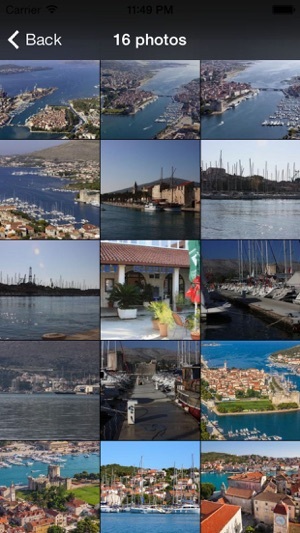 While the others are looking already at early afternoon for a mooring, you can enjoy a completely relaxed sailing day, because the berth in a marina, buoy or a restaurant jetty is guaranteed. mySea has information not only on berths, but also on fuel stations, cranes, slipways, nautical repairers, supermarkets, restaurants, beaches, chandlers, yacht charters, doctors, hospitals, tourist attractions, and more. In short: everything of interest for boaters. A large number of detailed POI descriptions, useful insider's tips and thousands of images are also included. mySea is free of charge as our aim is to motivate water sports enthusiasts to participate. Then only by having user contributions, which are edited, can an up-to-date travel guide achieve long-term success. Have fun discovering the locations! • Book your berth online with few clicks and pay with your credit card. This is the update that many have been waiting for! 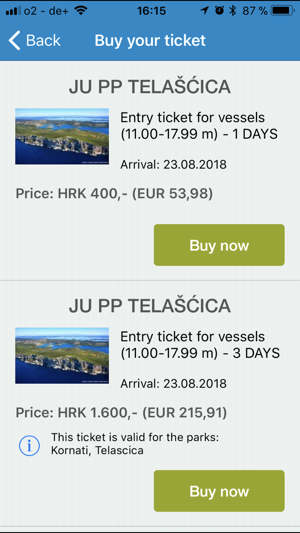 From now on it is possible to buy via mySea tickets for the national and nature parks Kornati, Mljet, Lastovo and Telašćica. And that at the cheaper price of ticket agencies. This allows crews to spontaneously decide to visit a national or natural park and lose no precious time to buy the ticket somewhere at an agency. The annoying way to the ticket agencies and the highly increased fees for the purchase of tickets on site are now a thing of the past. Simply buy ticket online and show the barcode to the park rangers.